(NaturalNews) As Natural News editor Mike Adams, the Health Ranger, said many years ago, the way to dramatically lower healthcare costs in America and reduce obesity-related healthcare issues is through better nutrition. Too many health providers, however, still don't teach and preach the concept, however. And yet, there is a growing body of evidence that better nutrition is the key to eliminating, or at least dramatically reducing, the incidence of today's most ravaging diseases, including cancer. Indeed, another just-released study found that changing over to a better, more wholesome diet of natural foods with fewer calories can help fight many cancers. As reported by the UK's Daily Mail, a low-calorie diet while receiving traditional cancer treatment – chemotherapy – is being credited with shrinking tumors twice as much as chemotherapy alone, according to scientists. Studies by American and French researchers found that reducing caloric intake in a carefully controlled diet is believed to boost the effects of chemotherapy for those who choose to receive it. Scientists believe that this phenomenon occurs because the fasting effect on the body weakens tumor cells while bolstering the presence of "T cells," which kill cancerous cells. Clinical trials are being planned, and if they are successful, they could provide patients with a much-improved chance at surviving life-threatening cancers. In separate studies, both published in the journal Cancer Cell, scientists examined the effects of dieting and of taking medication which mimics the effects of dieting in mice with tumours. The US study, by the University of Southern California, tested how mice fed a low sugar, low protein, high fat, low calorie diet fared while being given different chemotherapy drugs or no drugs at all. After a half-dozen weeks, scientists found that for the mice who were put on a special diet and were also given medication to shrink tumors, the tumors decreased in size to about half the size of tumors in mice that were given only chemotherapy. Valter Longo, one of the research scientists involved in the study, believes that fasting led to lower levels of oxygenase, which is a protein that normally occurs at high levels in cancer cells. As oxygenase levels fell, researchers discovered that tumor-attacking T-cells flourished, thereby reducing tumor size and helping to eliminate the disease. Longo hinted that it is possible fasting could have been successfully used by our ancestors long ago to sort of revitalize the immune system and prevent the spread of cancerous cells. "This coordinated multifaceted effect seems too good to be true," he said. "It may not be a coincidence, but a very precisely evolved process that is meant to get rid of bad cells." The French study, conducted by the Centre de Recherche des Cordeliers, saw mice given drugs that mirrored the effects of fasting without harming the body. The medication, called hydroxycitrate, triggers many of the biochemical reactions of starvation, but without any appreciable weight loss. French researchers tested mice with lung and breast cancer, and discovered that those on the drugs that mimicked a diet had their tumors reduced by a greater amount than those who were not on the medication. Researchers believe that simulating starvation summarily changes the micro-environment within a tumor, bolstering T-cells, while boosting the formation of white blood cells that protect the body. 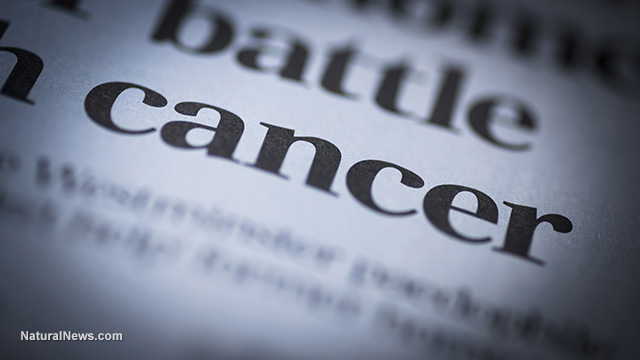 "My theory is that when you cause some cancer cell death, you stimulate the release of factors that enhances the recruitment of cell types that can fight against the tumour and reduce the immunosuppressive cells," researcher Guido Kroemer said. Prof. Longo and his team have already tested the safety of the special diet on cancer patients, and are currently working with hospitals to see how the diet helps patients respond to their treatment. Meanwhile, give your nutrition a boost year-round with clean superfoods.